An overview of the steps involved in this process is shown below. Informatica offers an Enterprise Cloud Data Management platform that has made a global stand as a reliable cloud data integration service. It presents a robust platform for data services and can integrate with a variety of tools and other cloud services. Informatica can be used to perform the ETL process to various cloud data system in an easy and efficient manner. For this implementation, we use the Cloud Data Integration tool on Informatica cloud to perform the ETL. This data synchronization tool can be used to establish connections to data sources and other cloud platforms (Redshift etc.) using JDBC and can be configured for streaming of data at regular intervals. As an ETL tool, Informatica can process XML files as part of the data load process. So, what prompts us to use Flexter? The answer lies in the complexity of the XML files, processing times, scalability, and the ease of use. We analysed and contrasted the processing of XML files using Flexter and Informatica. We tried to process the ESMA XML data using Flexter and Informatica and here’s what we found! Flexter scores considerably over Informatica owing to its ability to be distributed across multiple nodes for scalability and performance. 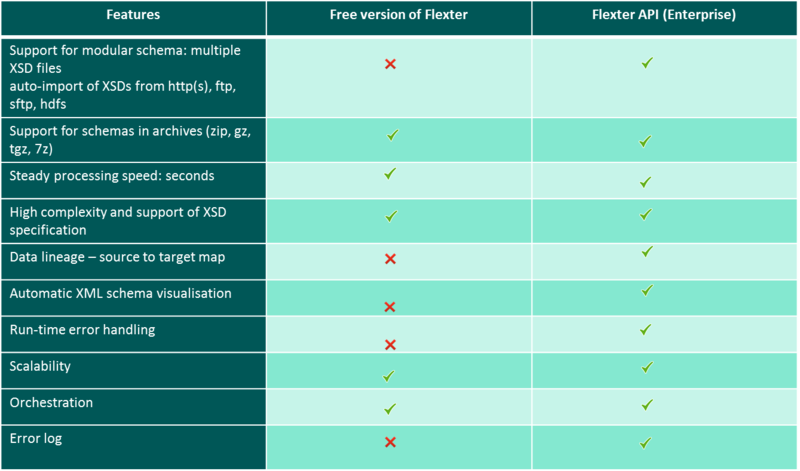 In addition, Flexter can support modular schemas - multiple linked XSD files - auto-import of XSDs from http(s), ftp, sftp, hdfs and support for schemas in archives (zip, gz, tgz, 7z). The data was processed through Flexter in a simple manner and we could download the TSV output almost instantaneously. It was free of charge and can be used multiple times. When it came to Informatica for XML conversion, the first hurdle was the non-availability of a built in XML processing utility. An add-on utility needs to be purchased (you can get it for free for the trial period after which an hourly/annual charge applies). A connection to the XML files can be established using this utility and then processed. In addition to Flexter’s web service utility – where users can upload XMLs and download the TSV files – an enterprise edition can be used wherein these steps can be performed programmatically by calling the Flexter API. 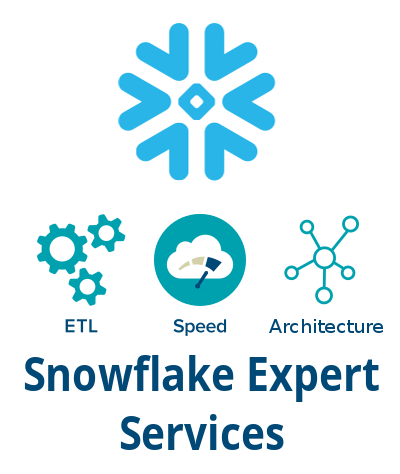 The Flexter API provides users with the option to specify the data lineage – source to target map, XML schema visualisation, data partitioning and the error logs. You can seamlessly integrate Flexter with any ETL tool as outlined in these posts where we integrate Flexter with Oracle Data Integrator and IRI Voracity. Another major drawback was Informatica’s inability to process multiple XML files in one go. While Flexter does this in a straightforward manner, Informatica requires additional configurations. 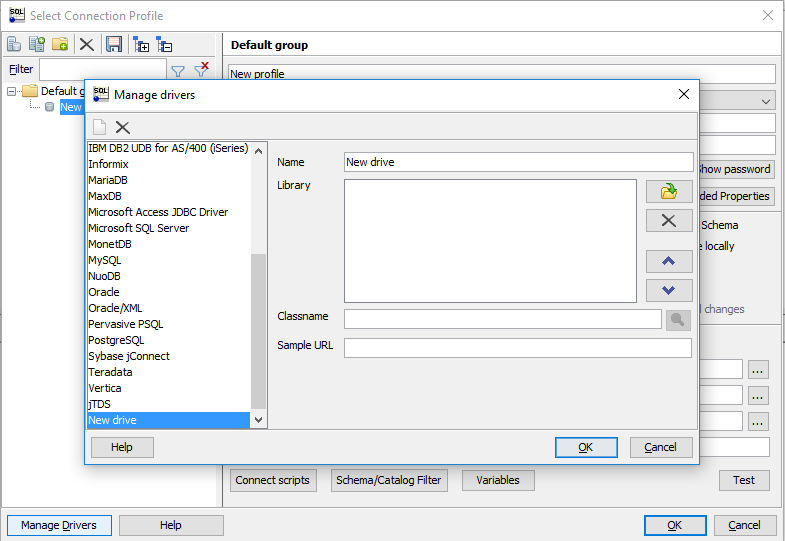 This means that users need to create complex loops in Informatica’s GUI to process the files one by one. This has a huge performance impact as it does not process the XMLs in bulk. This can be a major hurdle when thousands of XMLs must be loaded into a target. It also requires extra ETL developer time as these data orchestration pipelines have to be engineered. We have collated a view of the comparison and the features of these two tools below. Flexter provides a highly structured data output and can process multiple XML files simultaneously Informatica does not have a built in XML processing capability. A plug in must be purchased for this utility. In the following steps, we have described the processing of XML files and the ETL how to in detail. We have sourced the data from ESMA. ESMA is an independent EU Authority that contributes to safeguarding the stability of the European Union's financial system by enhancing the protection of investors and promoting stable and orderly financial markets. The data includes the reporting specifications and transactions. The specifications include the financial regulations laid down as part of different committees and the related market transactions. 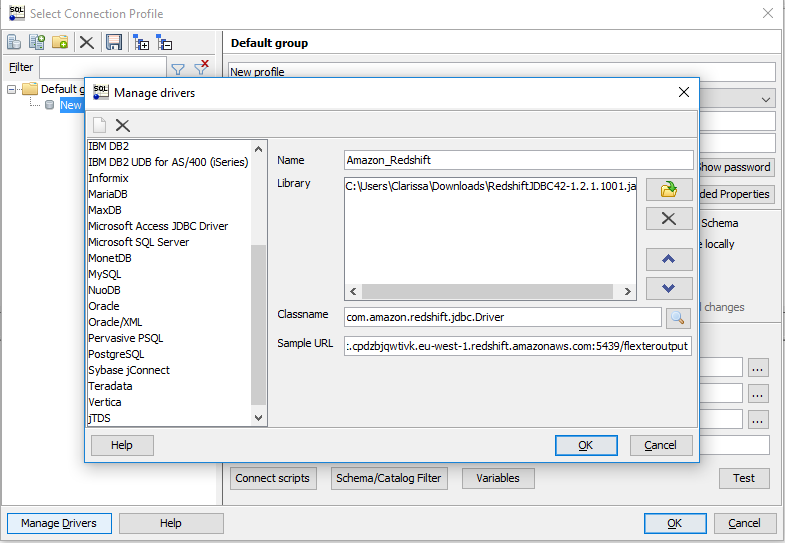 We will be using the free version of Flexter to convert the XML data to Amazon Redshift. For this exercise, we have used the free version of Flexter. The steps involved in the XML processing using Flexter are given below. 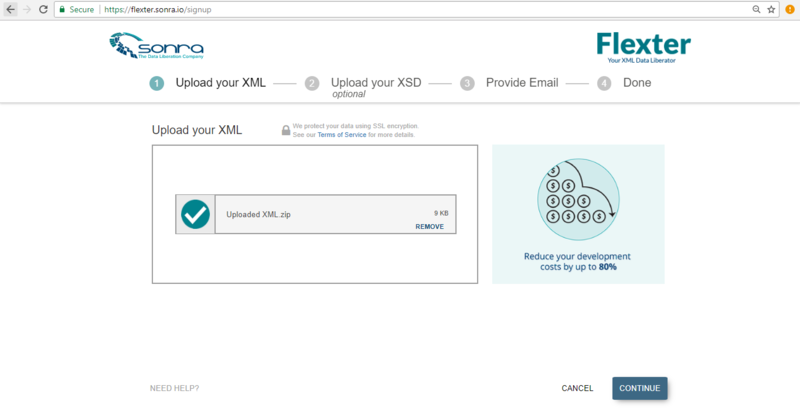 On the next page, we can upload the XSD file (if available). For this implementation, the XSD file is not available and hence we will click on ‘Skip ‘and proceed to the next page. On the next page, click on ‘Finish’ and the output from Flexter will be delivered to the subscribed email address. 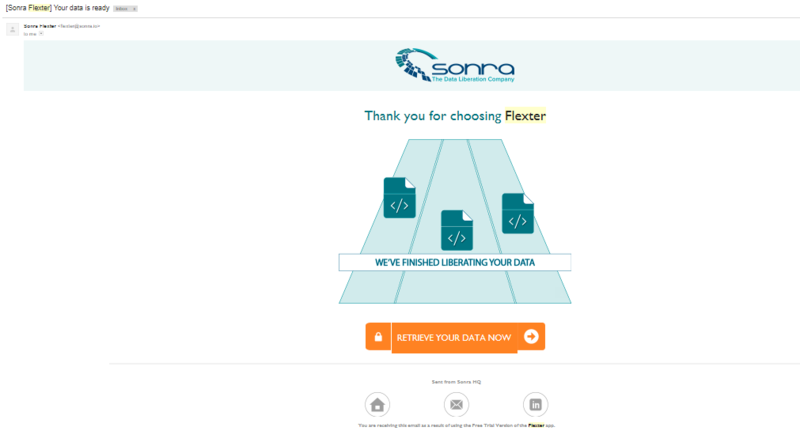 An email from Flexter with the link to the transformed data is obtained. The TSV files can be downloaded from this link which redirects to the Flexter page. 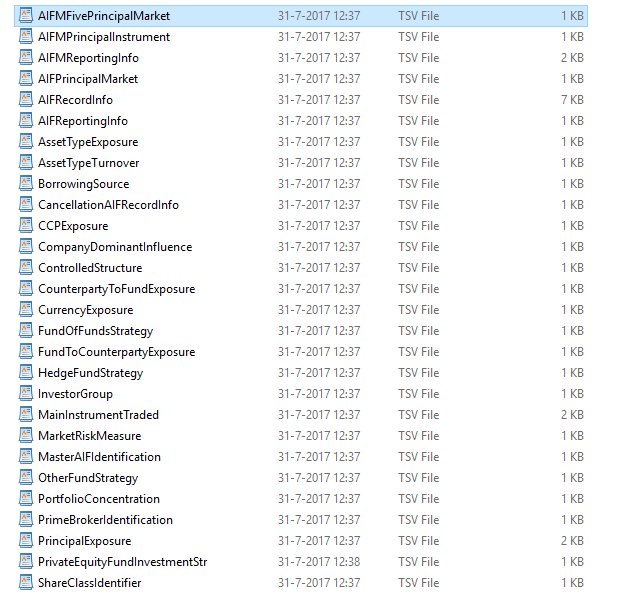 For the XML files from ESMA, a total of 28 TSV files were generated and downloaded. In the next steps, we have detailed the process of setting up Informatica and performing the ETL. 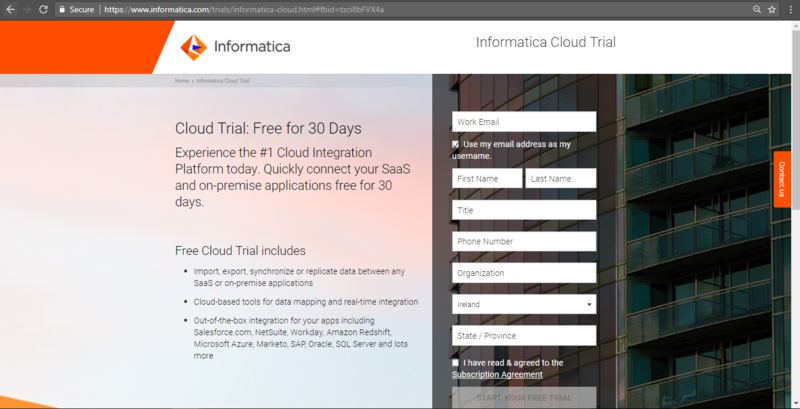 Informatica offers users with a free trial. Follow the below steps to set up a free account for ETL processing. Step5. 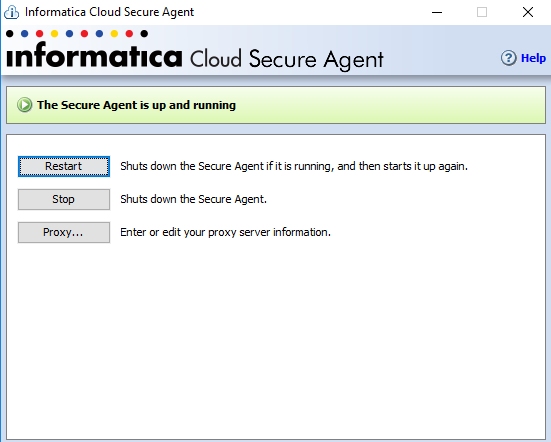 The Informatica home page is displayed. 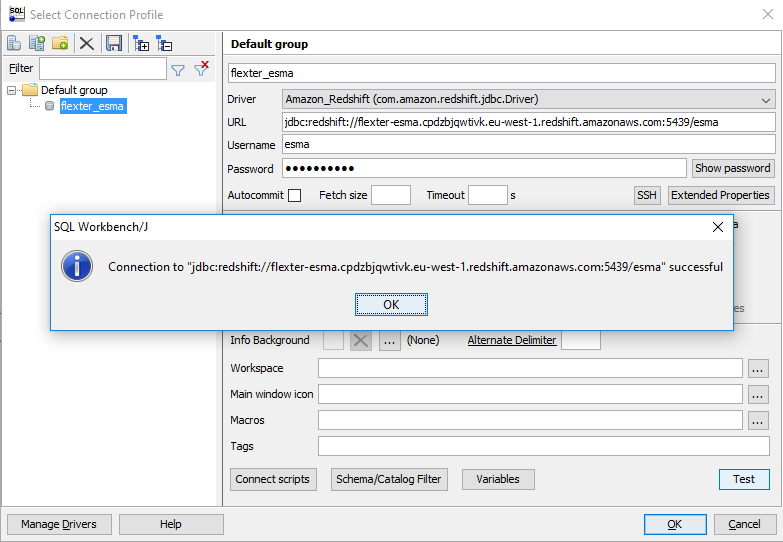 The next steps would be to setup the Redshift account with AWS and configure a JDBC connection. Redshift account is ready for use. 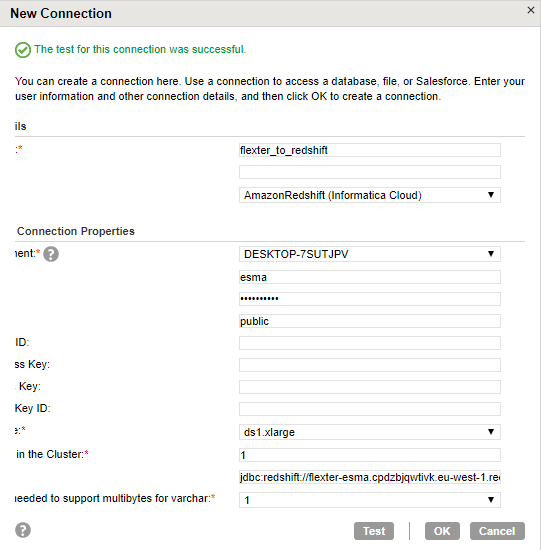 In the next steps, we will create a cluster in Redshift which can then be connected to Informatica. 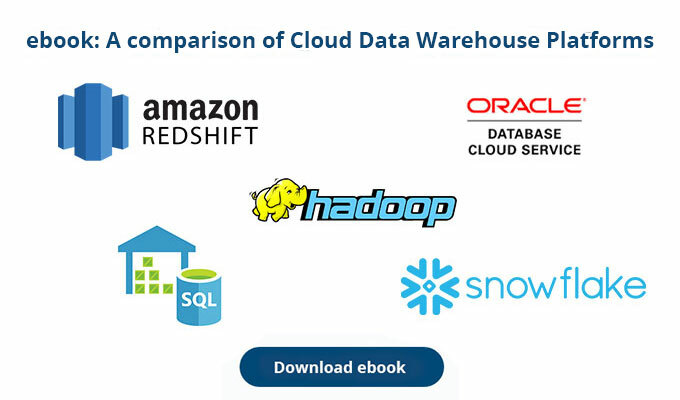 The most important component for a data warehouse in Amazon Redshift is the cluster. 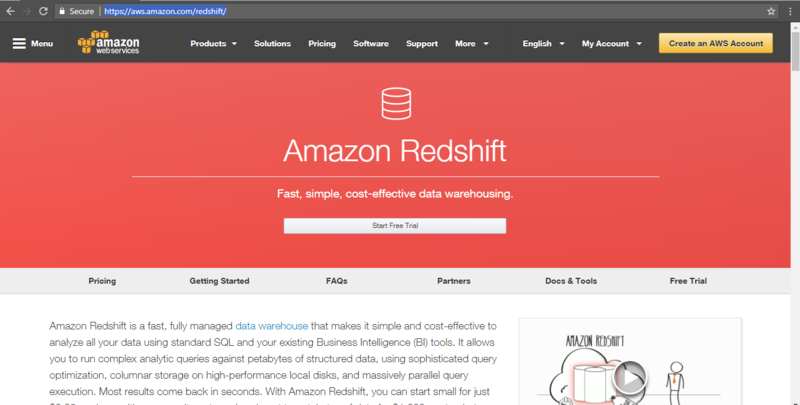 An Amazon Redshift data warehouse is a collection of computing and storage resources called nodes, which are organized into a group called a cluster. Each cluster runs an Amazon Redshift engine and contains one or more databases. The following steps detail the process of creating a Redshift cluster. Step 5. Select the node type as dc1.large and the cluster type as ‘Single Node’. The node type and the cluster types are selected based on the storage requirement and the compute speed. For this implementation, a single node would suffice. Step 9. The cluster dashboard is displayed as shown. 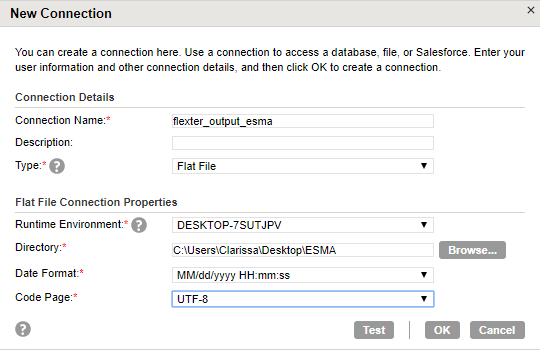 We can see that the cluster flexter-esma has been created and is available. The next step would be the database schema setup in the Redshift cluster. 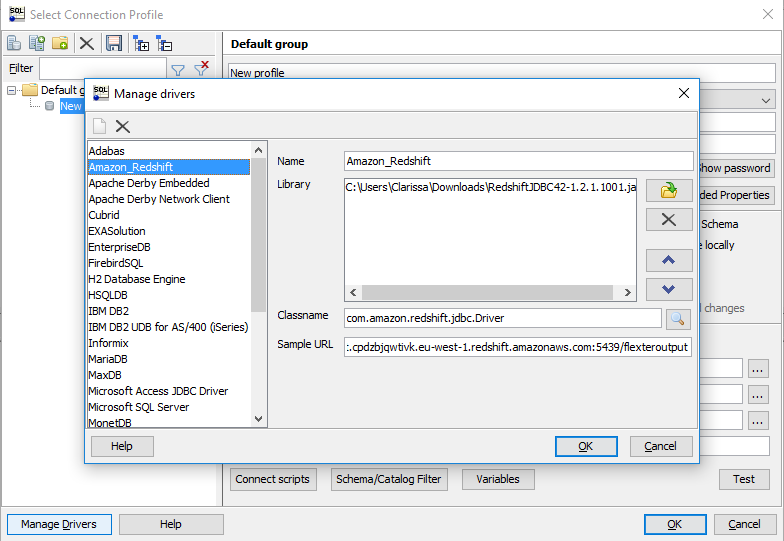 In the following steps, we detail the use of SQL Workbench/J to query in the Redshift cluster. 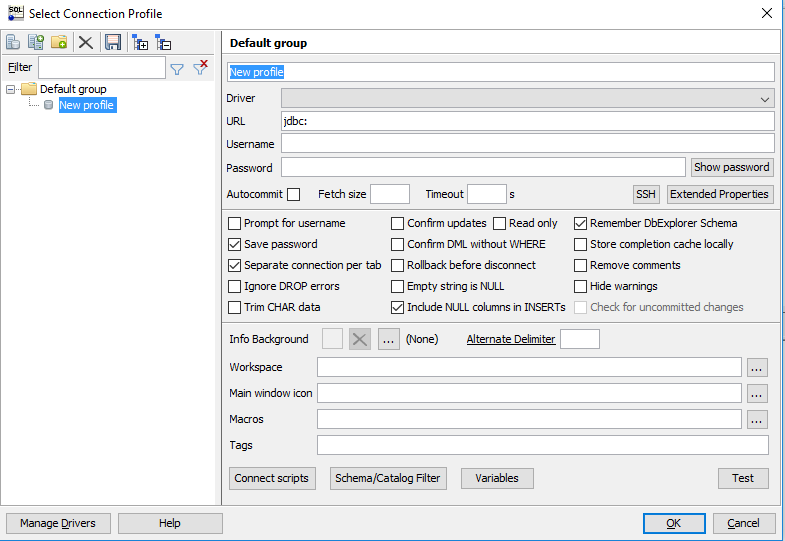 SQL Workbench/J is a free, DBMS-independent, cross-platform SQL query tool. Its main focus is on running SQL scripts (either interactively or as a batch) and export/import features. Step 2. Click on ‘Download generic package for all systems’. 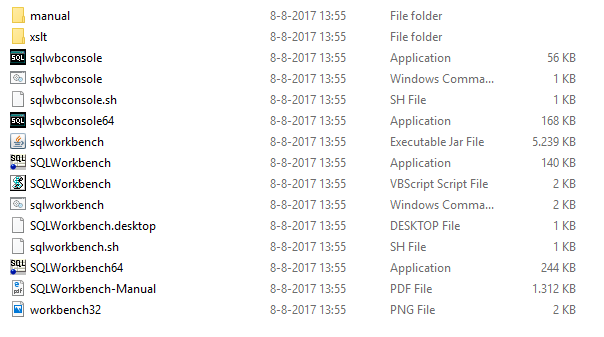 A ZIP file is downloaded. Extract the contents. Step 8. 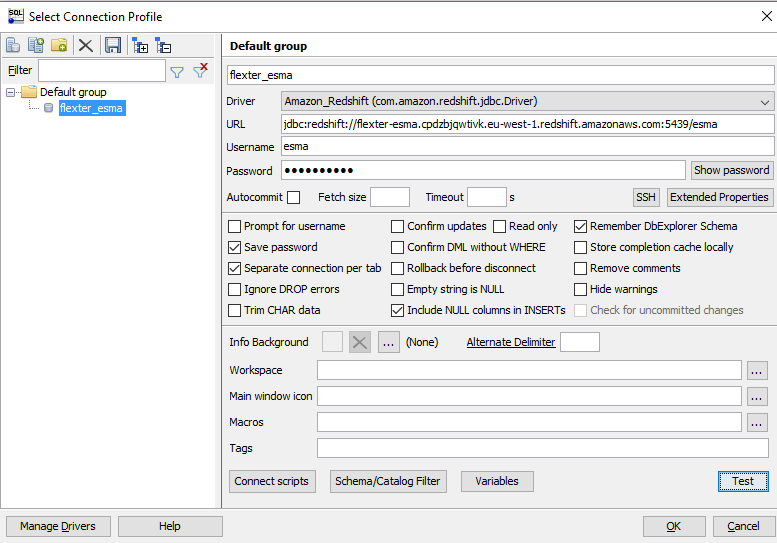 In the ‘Select connection profile’ window, specify the name as flexter_esma, the driver as ‘Amazon_Redshift’. 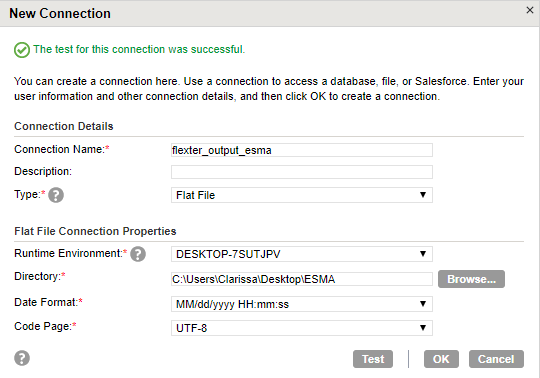 For the URL, we need to go to the cluster dashboard on Redhsift, click on cluster flexter_esma and select the JDBC URL. In a similar manner, the database can be created as per the schema. The next stage would be the ETL from Informatica. In the next steps, we will be creating a data synchronization task to complete the ETL process. Step 2. Click on ‘Download the Secure Agent’ and install it. The secure agent should be up and running. 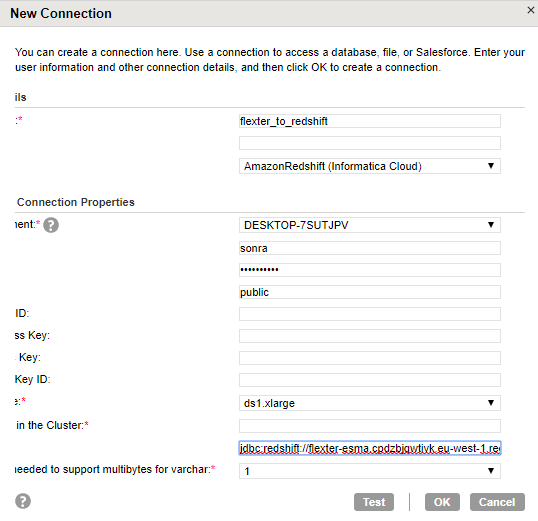 The ETL from Flexter to Redshift through Informatica is complete. The free version of Flexter is an easy and efficient tool for parsing the ESMA XML files in a seamless manner. The output from Flexter can be integrated across various cloud platforms using Informatica, which makes it a highly useful combination for data synchronization and analysis.